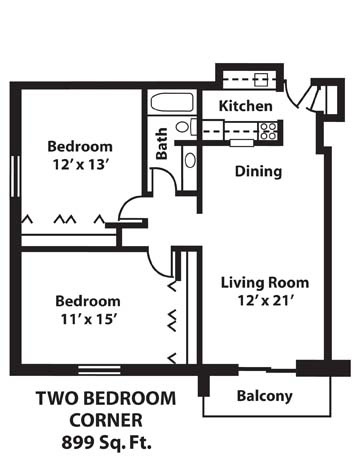 Two Bedroom Corner - 899 Sq. Ft. Corner unit with large bedrooms. Limited number of these units available for August, 2019. Reserve your corner two bedroom for next summer/fall season.